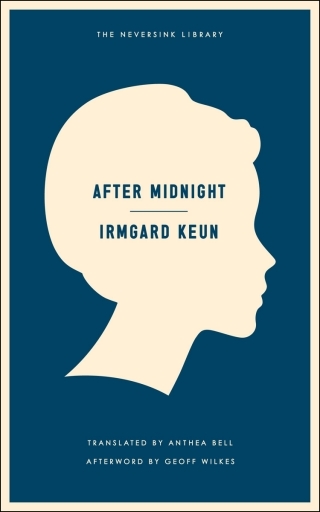 This short 1937 novel by German author Irmgard Keun is an odd little book, possibly more interesting for its historical setting than the actual story, although the actual story has its small pleasures. Keun, whose previous novels had been banned in her native Germany, wrote this, her third book, while in exile. They find reading far too much of a strain, far too boring. You can bet your sweet life they haven’t read Mein Kampf from beginning to end yet. Not that I have either. But they’ve bought it, and glanced at it now and again, and in the end they believe they’ve read the whole thing. Göring and the other ministers often shout over the radio, very loud and clear and angry. “There are still some who have not understood what it is all about, but we shall know how to deal with them.” I hate hearing that kind of thing, it’s creepy, because I still don’t know what it is all about, or what they mean. And it’s far too dangerous to ask anyone. Judging by things I’ve picked up from what I’ve heard and read, I could be either criminal or of unsound mind. Neither of which must come out or I’ll be done for. As the book goes on, we learn that Sanna has reason for worrying about doing the wrong thing. Even so, she chooses at times to put politics out of her mind. Her neighbors, family members, and friends worry more about their their personal comfort and safety than the bigger picture of what’s happening to Germany. Even Sanna’s author brother considers how he could make his work more palatable to Nazi censors. Perhaps he could write a poem about the Führer? Some even go so low as to use the system to work out their petty grievances, leveling trumped-up or false charges against neighbors they don’t like. It’s all too tragically believable. Most of what interested me about After Midnight was related to its function as a window into history. As a novel, it’s fine—sometimes funny, sometimes intense, occasionally thought-provoking. I loved Sanna’s voice, but she and her hateful aunt Adelheid are the only people who leap off the page. In a short book like this, that’s okay. Sanna’s wit and honesty were enough to carry me through. You’re welcome,Tony! I think her books are just getting translated into English. Another one, The Artificial Silk Girl, also just came out this year. “In 1933/34, her books were confiscated and forbidden by the Nazis. She went into exile from 1936–1940, first to Ostend in Belgium and later to Holland. The edition of After Midnight that I read talked a bit about her life in exile. I’m sure she couldn’t have published this while still in Germany. I wondered how much the bits about Sanna’s brother and his writing were inspired by her own experience. I have this one on my Nook and am looking forward to reading it. It does seem more interesting for the Germany it portrays than for the actual story, but that’s not at all a bad thing. Not a bad thing at all, especially when there aren’t so many firsthand accounts of life in Germany at that time.